A Turkish street musician is playing guitar and singing along. You can briefly hear trolley passing by, people dropping coins in their guitar carrying bag that is on the ground. Very nice work! What a beautiful record! 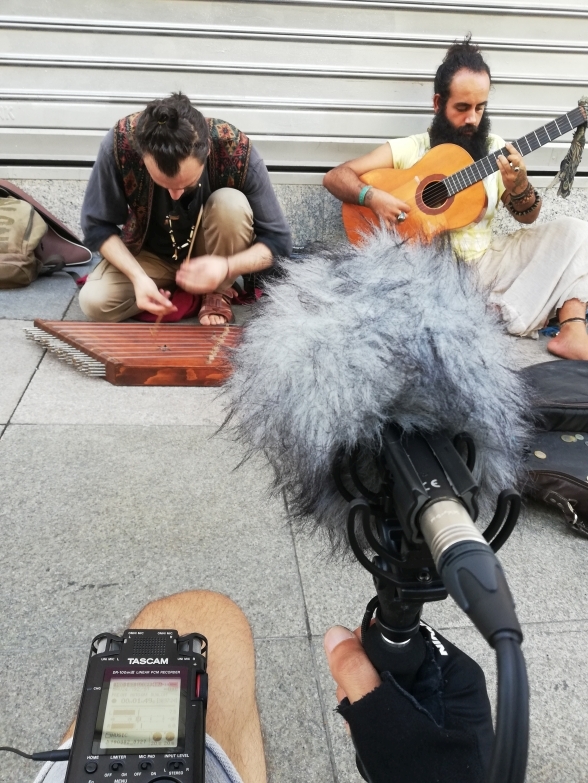 So many street musicians around the world are making beautiful music and go unappreciated. You have done these men a justice! Thank you for sharing this with the world. Do you mind if I use this recording for a video of mine? It is a personal project that I would be more than happy to share with you after it is finished.